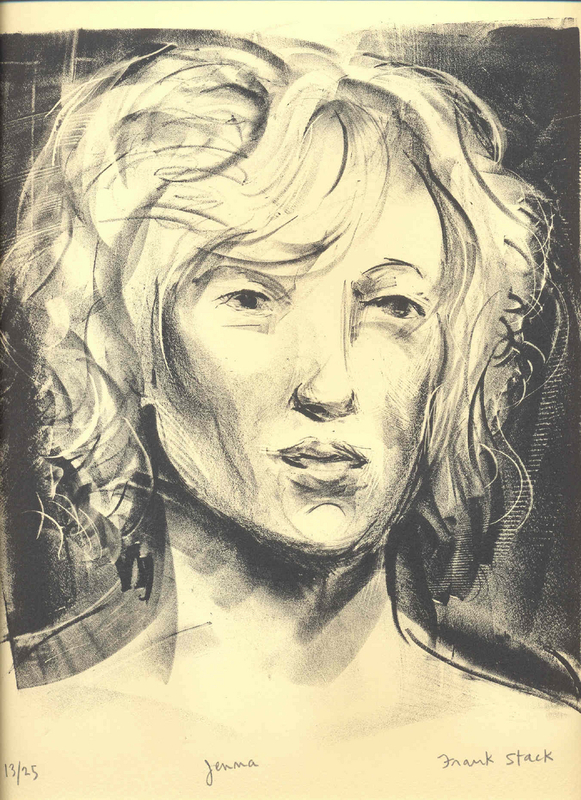 This hand-printed signed lithograph represents the striking features of a young woman, with wavy blond hair. Entitled "Jenna", this print, like many of his portrait lithographs, showcases the artist's ability to capture not only the features of his subject, but also a strong essence of personality. This impression comes from a limited edition of only 25 and is numbered "13/25". Image size: 10.25" x 9", Sheet size: 15" x 11".